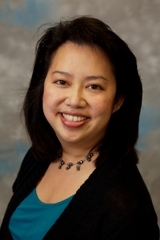 Dr. Kang received her bachelor’s degree in Human Biology from Brown University and completed her medical degree at Brown in 1992. She completed her residency and fellowship at Vanderbilt University Medical Center in Obstetrics/Gynecology and Maternal-Fetal Medicine, respectively. She served on faculty at Vanderbilt University in the Division of Maternal Fetal Medicine for 11 years before moving to private practice in 2006. Dr. Kang has served as a reviewer for the Journal of Maternal-Fetal Medicine and American Journal of Obstetrics and Gynecology. She has also received special recognition from both AOA and APGO for excellence in medical education. She has a special interest in recurrent pregnancy loss, thrombophilias, autoimmune disease, and obstetric hemorrhage. She is also proficient in Chorionic Villus Sampling (CVS) and is NTQR certified. Dr. Kang was also recently selected among Nashville Business Journal's Best Doctors of 2014.